Enter your details here and get an email with demo licenses and download links for TrackComp sent to your email address. The tool you need for every session. Have a listen: download the demo. Alt-mousewheel on snap-to sliders will cycle through values. Extend E-Channel release time, and mark hardware ranges. Add Q-Bias to 76 to allow calibrating aggression! 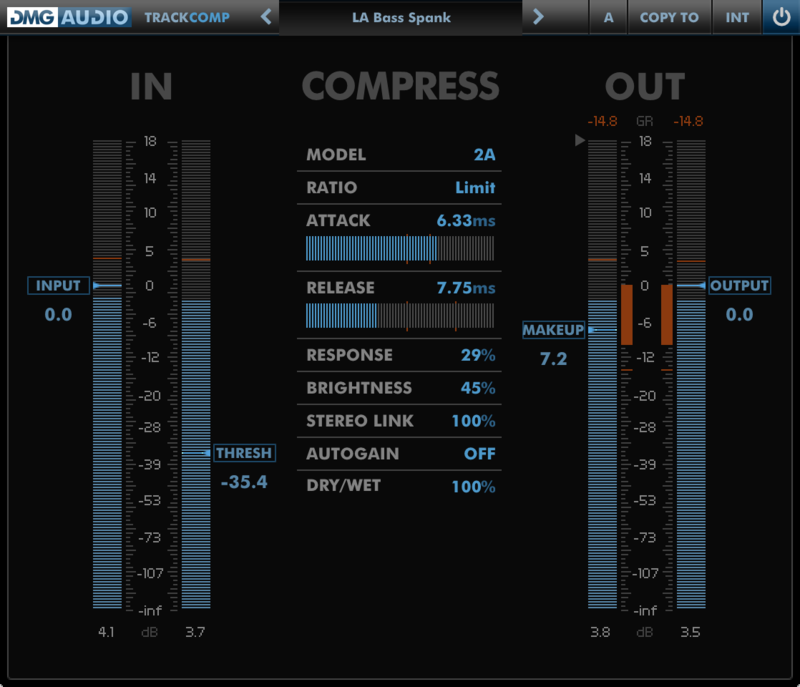 TrackComp is a compressor designed for musicians, producers and mix engineers. It has comparatively low CPU usage, zero latency, a streamlined workflow and features a collection of analogue and digital compressors. The phrase "SPICE simulation" commonly refers to using physics to predict the behaviour of a circuit, using a particular mathematical strategy. It is a method for circuit simulation that forms the foundation of the tools that electronic engineers use for design. Our approach has been to optimise SPICE for real-time usage; typically a simulation takes between ten and a hundred times as long to execute as the audio it is processing. We are very proud to have optimised implementations that typically run at <1% CPU core usage on modern processors. Typically hardware modelling relies on the expertise of the designer to match the unit. SPICE instead creates a mathematical description of the unit from the circuitry itself, yielding a result as accurate as physics. This means we can capture all behaviours of the hardware. In cases where the hardware had stepped controls, we have implemented these exactly, but in some cases also allow you to pick between switch settings to increase functionality.